With the season starting in a little over a month, there will be a lot of eyes on Miguel Tejada – the former Oriole shortstop, turned third baseman. The good thing with Tejada is the bat is still there. Although he’s not the same player that he was when he first signed with Baltimore, he did hit .313 last year with 14 homers and 46 doubles. Then again, keep in mind he played half his games in Houston’s Minute Maid Park – a hitter’s haven. If there's one player a lot of fans are looking forward to seeing this upcoming season, it's Matt Wieters. Initially, he didn't show signs of greatness, and looked like a rookie trying to figure his way through the majors. He started off the first three months of his major league career slow and then started to heat up. By the time September came, he looked a lot more comfortable and starting hitting the ball with authority. By the end of the 2009 season, he worked his way through and ended up batting .288 with nine homers, 43 RBIs, a .340 OBP, and a .753 OPS. A few days ago, James wrote about Adam Jones and his potential leadership abilities as member of the Baltimore Orioles. While Adam was an All-Star last year, a Gold Glove winner and has become a fan favorite, the center fielder has a bit more work to do to take his game to the next level. His numbers in 2009: 19 homers, 70 RBI's, .277 avg, .335 OBP, .792 OPS. Right now, Jones is an incredible talent for the Orioles; however, his 2009 season was a tale of two halves. In the first half, he just lit it up and looked to become of the elite young players in the game; alas, in the second half, whether due to a long funk or whatever, his numbers sunk and injuries finished him off. Despite some of my criticisms of Jones, most of the time he looked like a ten-year veteran in the field, rather than a 'young' player. Now 24, I expect Jones to take the next step in 2010 and become a 'true cornerstone' of the franchise. The man works hard for sure and wants to be a winner, but some areas of his game definitely could be improved -- much like everyone else (unless your name is Albert Pujols). If the Orioles Struggle in '10, What Happens to Dave Trembley? The Oriole Post, plus several other team related blogs were asked to take part in a forum as part of the Hot Stove website and the question-of-the-week posed to us centered around Dave Trembley. The issue is what would happen to Baltimore's skipper if the team struggled in 2010 and if he would be replaced? If the Orioles do not "turn the corner", I do believe that they will move on from Dave Trembley. Although the Orioles certainly do not have the talent as-is right now to contend in the American League East, it's assumed that they are improved from a near 100 loss season by almost everyone and must do better. I'm sure the Orioles' brass will exercise patience with Trembley, but they -- along with the fans who have suffered through a decade plus losing -- want to see improvement and wins. A lot fans got on Trembley last season not only because of the win-loss record, but due to some fundamental lapses in the field by his team (that cost them over and over) and the perception of a lack of discipline. Yes, in the end, the players do mostly determine the outcomes of the games, but Trembley also faced a lot of criticism for his in-game decisions and strategy. Usually, there's not a whole lot of news that takes place at Spring Training aside from updates and quotes on players; however, the return of Miguel Tejada made for some interesting reading this morning. As most know, this is Miguel Tejada's second tour of duty in Baltimore and today he reported to camp, much like everyone so far -- happy to be in the Florida Sunshine and prepping for baseball. Several of the news websites got some quotes from Tejada and so far he sounds like a new man. He sounds like he's happy to be an Oriole and might be energized by the youth around him. "They make me feel young,'' he said. "They are going to be playing hard and I’m going to try to do the same thing. Everybody knows that I love this game, that I play this game hard, and I know these kids know that I’m really anxious to be a winner. I think they are going to try to give me the opportunity here." Over the years, Tejada has been through some hard times -- much of it his own doing with the PED issues, the age, and having to go to trial. However, right now, we should all be more concerned how Tejada plays at third and if he'll help the Orioles this season. Injuries are a part of the game and seemingly can happen at any time. It's not different with the Orioles than any other team; however, when the injury bug hits one of your main cogs in the machine, there's always cause for concern. Today, it was revealed that leadoff hitter and second baseman, Brian Roberts is suffering through some back issues. From the Baltimore Sun: Second baseman Brian Roberts reported to camp today and revealed that he was diagnosed with a "small" herniated disk in his lower back. He worked out lightly today, but said his activities will be limited early in camp. He also is scheduled to film an Orioles commercial today, but we'll save the wisecrack about that for another time. The injury surfaced a month ago while he was training. He said that he thought it was a back spasm, which he had experienced before, but eventually was treated for kidney stones. When the discomfort did not respond to that treatment, he underwent a spinal examination that revealed the herniation. So far, everything is going good in Florida. The sun is shining down there, it's warm, players are proclaiming themselves to be in "the best shape of their lives", plus a few players says they are going to step up and take a more active role in the team. In about six weeks, the Orioles will open up the 2010 season against the Rays and most of us fans are hoping for a respite from the losing. For a change, this team looks promising -- not to say they are going to contend for a pennant, but upward. This morning in the Baltimore Sun, Peter Schmuck has an article about Millwood. After reading it in full, I ended up being nothing but impressed on what I saw on my laptop screen. So far, it looks like Kevin Millwood is taking the leader role in camp amongst the hurlers and will use his experience to help out. Adam Jones, the hallmark of one of the best trades in a decade, is quickly becoming a force in the Orioles lineup and the Orioles clubhouse. The young CF seems to be actively trying to take on more of a leadership role within the organization. Jones is not a shy man, nor a secretive one. He as embraced twitter and his account is always a source of interesting comments on his day-to-day life. "He wants to assume a lot more leadership, period." Most people would agree that the Orioles need some sort of "team leader" but just what makes someone a "leader" is open to a lot of debate. Fans and bloggers alike throw terms around all the time: good clubhouse guy, on-the-field leader, field-general, face of the organization but when pressed to define such terms therein lies a problem. No one argues the fact that Derek Jeter is the leader of the Yankees. He has that special combination of accolades, talent, charisma and longevity that makes him not only an obvious leader but an era-defining star. But then you have a guy like Cal Ripken Jr. Someone who every wanted to be a "leader" and he took the lead on many occasions. He certainly was, and in most regards still is, the face of the Orioles but he was never the vocal stand-out team leader that people wanted. Cal led by example, he did his job well never really piped up and worked as hard as he could. Since Ripken retired the Orioles have been searching to replace him. Not necessarily on the physical field but in the psychological one. When Ripken left he left a void that Orioles fans have been searching for. "Who will be the next Ripken" we all wonder. We wanted it to be Roberts, Tejada, Mora, Markakis, Surhoff. We have looked to so many different people to be a leader. But again - what is a leader? This week, MASN announced their 2010 Spring Training schedule for their televised games. Well, I do wish that the network would air more games or at least show some video coverage of the happenings going on at Spring Training. I mean, I think airing video is far more effective than reading news via blogs, news articles, or listening on the radio. I mean, if you look at the job NESN and YES does with their Spring Training coverage, it's amazing compared to what you see in the mid-Atlantic region. Then again, I guess seeing four live games are better than nothing. * Sunday, March 7th at 1pm - Boston Red Sox vs. Baltimore Orioles. Which Free Agent Acquisition Could Be the Biggest Disappointment? The Oriole Post, plus several other team related blogs were asked to take part in a forum as part of the Hot Stove website and the question-of-the-week posed centered around which free agent acquisition could be the biggest disappointment headed into the 2010 season. 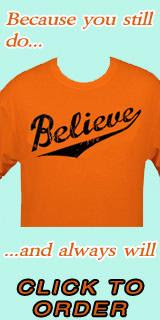 Right now, it's hard to say who could possibly be the biggest disappointment with the Orioles into the upcoming season. As I see it, if Miguel Tejada can't master third base and struggles, he could be it. Now, I can't see Tejada being an abysmal failure -- he can still hit for average, is a run producer and a man with a lot of pride. However, if he commits a horrendous amount of errors at the hot corner and looks plain bad, it won't matter what he does in the eyes of many with his bat. Also, if you factor his age -- he'll be 36 this season -- and his general decline, Tejada may be a candidate for disappointment. Again, I think Tejada do fine, but if he and the Orioles struggle out of the gate, it's going to be a rough ride. I was going to pick Garrett Atkins as my candidate originally; however, his season in 2008 might have just been a strange aberration and he's still young enough to bounce back to his 2006-08 stats. It looks like baseball is finally upon us! This week, most - if not all - teams start Spring Training with pitchers and catchers reporting to camp. Even though the games are meaningless and most of the stars only play for a few innings at most, there's nothing like the ambiance of Florida in March. For the most part, aside from the additions of Garrett Atkins, Mike Gonzalez, Miguel Tejada, and Kevin Millwood, the Orioles look pretty much the same as they did last year when they lost 98 games. However, let's hope another year of experience can avoid another bad season. For the money the team spent this season, plus if you add the contracts of Brian Roberts and Nick Markakis, the Orioles should finish better than they have in the past. Sadly, though, this is a team still in the rebuilding process and the success they have this season will depend on the development of the youngsters. For the Orioles, everything kicks off on Wednesday and the first workouts are on Thursday. Who knows what we'll learn for next month-and-a-half about the team. We'll learn if Tejada can play third base, or if Atkins can rediscover his swing and if the young arms can build upon on 2009 season that featured many peaks and valleys. Can Millwood hold the fort at the top of the rotation, or can Jeremy Guthrie show the promise he did in 2007? Can Koji come out of the bullpen and deliver? What happens to Trembley if the season starts badly? Will Wieters build on his potential, step it up and become one of the keys for the franchise? Can Adam Jones play at a consistent level throughout the season? As James noted in a earlier post, pitcher Brad Bergesen "tweaked his shoulder", while filming a commercial in December. That's not good. According to the Baltimore Sun, Bergesen will not be able to take part in Spring Training activities for at least ten days. Apparently, he went all out in the spot (I guess for realism), and hurt himself. It looks like he's taking part in a throwing program; however, the injury will set him back a little when everything starts down in Florida. Roch was able to get a few more words from Brad yesterday about the situation. Let's just hope the minor injury that Bergesen got during his commercial shoot/taping doesn't turn out to be anything more, such as an injury to his labrum, etc. Drew Forrester of WNST raises some very salient points when it comes to the Bergesen injury. The Orioles and Jeremy Guthrie came to terms on a contract for 2010 and avoided arbitration. Both sides agreed to a one year, three million dollar deal. Roch has some more words from Guthrie. I thought the figure was fair, considering what Guthrie did in 2007 and 2008. He's been a good representative for the organization and avoiding a hearing was definitely good for all sides involved. A little late on this mention, but let's say our prayers for the family of Orioles traveling secretary Phil Itzoe who passed away this week. While snowed in this week, I heard a little of what was said about Mr. Itzoe plus all he did for the organization behind the scenes as a traveling secretary (for 42 years) and he was certainly beloved by all. While down in Florida for Spring Training in Sarasota, you can find Online Casinos, Gambling Online & Casino Online at tip of your fingers on the web at Online Casino Spotlight. The new site will fulfill your betting needs and also give you an inside edge on Fantasy baseball as well as other sports. Also with the NCAA Championships and NBA Playoffs coming up, Online Casino Spotlight will give you the info you need. Or if you just want to take a chance and win some money, the site also can give you that excitement -- who knows, you might strike it rich! 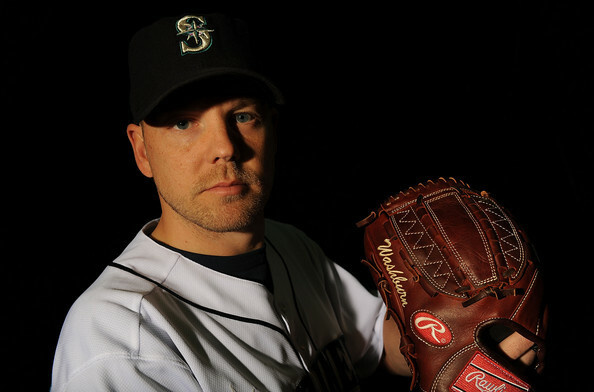 There's been a lot of talk recently of pitcher Jarrod Washburn being pursued by the Orioles. Well, the Oriole Post, plus several other team related blogs were asked to take part in a forum as part of the Hot Stove website and the question-of-the-week posed centered around Washburn perhaps joining the team. The piece should be up on their website sometime Thursday evening. I can't imagine the Orioles would go after Jarrod Washburn at this point unless he was available for so cheap that it would counter-productive to say no. Right now, I think the the organization will more than likely go with Kevin Millwood, Jeremy Guthrie, Brad Bergesen and Brian Matusz as part of the starting rotation. I'm going to assume that Chris Tillman will be slotted as the fifth starter unless he just blows it in Spring Training. Back to Washburn: He's had a decent career with some ups and downs. However, based on his numbers in Seattle versus what Jarrod did in Detroit last season, what would a team be getting from him? I would have to think that Washburn would at this point want to pitch anywhere but the American League East. For the love of God, let Spring be around the corner. Having survived Snowpocalypse II it appears that Baltimore is in store for Snowpocalypse III: The Quickening Tuesday into Wednesday. Seriously, another 12 inches of snow with local amounts approaching 20?! The Hell nature? Seriously. Baltimore City officials have stated that they may not "...get to some [sidestreets] for many days..." one of those streets is most certainly my street with four foot snow drifts blocking all cars. The city has actually asked that people start digging out themselves, as some Baltimore neighborhoods have very tiny streets that no plow can get through. Now more snow? Only ten days until spring training. God I can't wait for Spring at this point. The Super Bowl is over, congrats to the Saints by the way you made me look smart; I should have taken all those bets, so now it is time to think baseball again. From the Seattle Times: Free-agent pitcher Erik Bedard confirmed to a Canadian newspaper that he has agreed to terms with the Mariners on a one-year contract for 2010. Bedard, who turns 31 on March 5, was in Seattle undergoing a physical examination on Friday. The Mariners' medical staff was believed to be still evaluating test results on Friday, but an announcement of the deal could come as soon as Saturday, barring unforeseen issues. According to Le Droit, a Canadian French-language newspaper in Ottawa — Bedard is from Navan, Ontario — the left-hander said he accepted a one-year deal with a base salary of $1.5 million. He can earn considerably more with incentives, likely based on how much he pitches and time spent on the active roster. The paper quoted Bedard saying he "hopefully" could make "roughly the same" as the $7.5 million he earned last year if he hit all his incentives. "I am truly happy. It was my first choice to return to Seattle," he told the newspaper in French. "I think the team will be really good this season. I very much like the direction the team is going." Bedard underwent shoulder surgery in Los Angeles on Aug. 14, during which Dr. Lewis Yocum repaired a torn labrum, an injury that typically has a 10- to 12-month recovery period. That means Bedard won't be ready for the start of the season, but could be a dynamic midseason addition to the rotation if his shoulder responds. Torn labrums, however, are notorious for being a problematic injury for a pitcher to come back from. Who could blame him for wanting to stay in Seattle? With the team they have on paper so far, they look like a contender and if Bedard's healthy, he'll be part of probably one of the strongest starting rotations in the game. Snowpocalypse 2010 - if I don't make it. It is snowing in Baltimore - like a lot. 2) Miguel Tejada will not be retained simply because he IS Miguel Tejada if the young Josh Bell is tearing through AAA. 3) Movie night at the Ballpark will return multiple times in 2010. Also, the following movies will be shown: "The Sandlot," "The Blues Brothers," "Ghostbusters" and "Major League." 4) National Bohemian returns to Camden Yards. It costs no more than four dollars. I was spoiled for one glorious summer and I want more. Moreover, if the Orioles need to add local flavor then they need to go to Clipper City's McHenry brew. 5) The second Garrett Atkins struggles Brandon Snyder gets brought up. 6) Blogger Night at the Ballpark becomes an annual event. However, it gets renamed: "Tha James C. Baker Memorial Festival of Internet Baseball Reporting, with Free Crabcakes"
7) Someone needs to step up and lead section 334, everynight, in the Baltimore Community Spelling Bee. It is a Baltimore tradition that simply can not freeze and die with me. 8) Nick Markakis needs to have a new intro-song. Seriously Nick, seriously. I know you like country music but there has to be something better than that you can pull out. They are called The Old 97's, learn them - love them. 9) Anyone who snarkily criticizes the "Oh!" during the national anthem earns nothing but scorn and derision. 10) Last, but most importantly. Please, continue to support the Orioles. No matter how bad it gets, always get behind the orange and black. Baseball can not go the way of the dinosaur in Baltimore. The hill is tall, the fight will be intense but I have the feeling we are on the verge of something special. If I don't make it out of the blizzard - make sure these things happen. Bedard More Than Likely Going Back to Seattle? From the Baltimore Sun (Pete's blog): MLB.com's Jim Street is reporting on his blog that the Mariners are closing in on a one-year deal with left-hander Erik Bedard worth $1.5 million and "a shipload of incentives." The base seems low, but it would be a reflection that Bedard probably won't be ready to pitch until midsummer. Roch also has his say on the matter, as well as Pressbox's Pete Kerzel. All the chatter all came from a post from MLB.com's Jim Streeton his blog. Too bad. However, considering Ben Sheets got $10 million to pitch for the A's & Rich Harden got $7 million from the Rangers, would not one think that Erik could hold out for more money? Granted, he may not be in their class as a starting pitcher, but maybe he likes Seattle. As we know, if Bedard is healthy, he's a solid and top of the rotation guy. If he can go for Seattle with Felix Hernandez and Cliff Lee in their starting corps, Seattle will be one hell of a tough team during the regular season and could rival any team in the playoffs -- at least on the mound. Pitchers and catchers show up to Sarasota in a little more than two weeks, and it goes without saying, most fans are happy and ready for baseball at this time of year. Hope does really spring eternal, but as it is right now, the Orioles will more than likely finish up in the second division or close to .500. Forget about contending this year or maybe in 2012; however, if the Orioles do show signs of improvement this season, then maybe they could finally spend the dollars and get a free agent or two. Right now, the problem is that the Red Sox and the Yankees have finances and the wherewithal to seemingly do as they please. Then again, both teams -- especially the Red Sox -- are vey well run, so let's hope Andy MacPhail and the scouting can keep up with both of those organizations. The Orioles have to keep piling up the prospects, finding young arms and players they can have under their control for many, many years. Defeating the Beats of the East won't be easy, but the organization does seem to be trending in the right direction. Looking back though, although the Red Sox and Yankees have done exceedingly well with the wealth, talent and personnel they've acquired, much of the Orioles problems the have faced in the past decade have been their own doing. Bad free agent signings, horrible drafts, trades, production of talent from the minors to an extent has led the organization to stand where they are today. In addition, once you add the deteroriation of a fan base over some time and attendance falling to less than two million last season, baseball seemed to be dying a slow death in Baltimore. Even though he's been gone from Baltimore since the 1996 season, former announcer Jon Miller still is remembered quite fondly by Oriole fans all over. Now, he's being bestowed with a special honor -- the National Baseball Hall of Fame has selected him as the 2010 recipient of the Ford C. Frick Award. Although Miller can still be heard with the San Francisco Giants and seen on ESPN's Sunday Night Baseball, the man should have still been retained with Baltimore. Below is a video I found on Youtube from 1989 profiling Jon Miller and his work with the Orioles. In the video, you'll see a younger Joe Angel, who despite several decades doesn't look much different. No one really knows if Bedard is ready to come back or if he’s fully healthy, but he should be able to pitch in the early/mid part of 2010. Despite questions about his makeup, desire, and durability, the southpaw can pitch, and he'll be in demand -- if and when he's ready to pitch. So far, he’s not said much – if anything all – nor, have I heard his name elsewhere when it comes to rumors.